I'm not entirely sure what I want to say to you about this one. 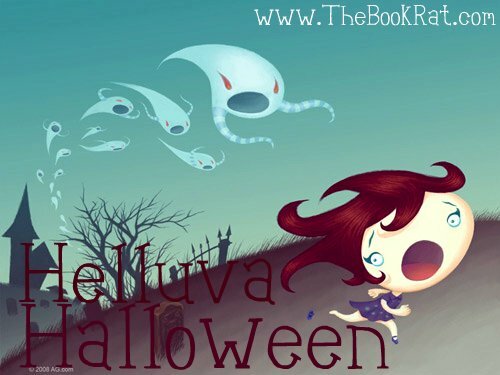 It had its high and low points, as all books do, and in the end it left me feeling a little middle of the road. I think a few years ago, I may have loved this, but now I feel so used to this story (even though I hadn't read it) that it didn't leave much of an impression. Here's the thing: I find the ideas behind the book really interesting. I like timeslip novels conceptually because I find the whole thing fascinating. It's then down to whether or not the concept is carried off well, and in this case, it was. As a time travel book, it worked for me and was interesting. Yes, the "time gene" and all that was a little muddled. I had my questions, assuredly. But they didn't bother me too much, and I thought the different ways the "time gene" could manifest was very interesting. So it wasn't the crux of the story that sort of threw me off. Unfortunately, it was sort of the characters. And here's where it gets tricky, and why I'm not sure what I want to say about the book. I liked the characters themselves for the most part. I liked Emerson, I thought she was fun and spunky. I liked Michael, though he was maybe a little flat (I don't particularly care for flawless men. Strange, I know.) I really liked Emerson's best friend, Lily, and am curious to see where her storyline goes. I liked Emerson's brother and his wife, Michael's friends and colleagues. I seemed to pretty much like them all. And yet...they didn't quite work for me. I don't know how to explain it; it was partly that I never really felt too much of a connection with them, and it was partly that they were a little one-dimensional, save those who turned out to be super-crazy. (Like, no joke. Cat-petting, mustache-twirling, hyena-cackling, Bond villain, bald-Brittany cray-cray.) For whatever reason, I just never found myself completely invested in their stories, for the most part. There were moments where I would just start to become attached, and then I would lose the thread. They were never real to me. So in the end, I guess it was a bit of a balancing act, trying to decide if the plot and the time-travel and the character-aspects I did like outweighed the things I didn't. And it ended up a pretty balanced scale. I don't see it as a book I will be pushing people to go out and read nao, but it won't be one I'll discourage people from reading, either. It ended with an interesting basis for further books in the series, so I likely will read them, even if I won't rush to buy them. The idea of time paradoxes and the multi-history lines, coupled with the consequences of changing the timeline provides fascinating potential, and the revelations of Emerson's past, and any revelations that I think may be to come, will likely keep me reading, even if the books don't end up on the top of my stack. Check out my interview with Myra here. I cackled at your description of Cat as "bald-Brittany cray-cray" cause it is so dead on the money. I liked that I did not see that coming. That literally hit me from left field, right in the face. You seemed to pick up on a lot of things I had trouble with when reading this book. I was kinda happy about the "Emmett Brown" clone but then I felt she could have tried for a little more "mad scientist" originality. I would have liked to see him a little less stereotypical and a little less "here's a really eccentric scientific dude, now back to our soap opera." And that little heifer trying to take Michael and make him her man....I don't like that girl. I've met that girl. I'm been the Emerson to that girl...If I was writing the sequel...I'd have her run over by a herd of wildebeests Lion King Style. 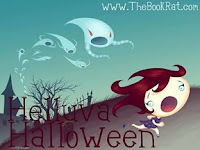 Other than all that stuff....I really liked the book. 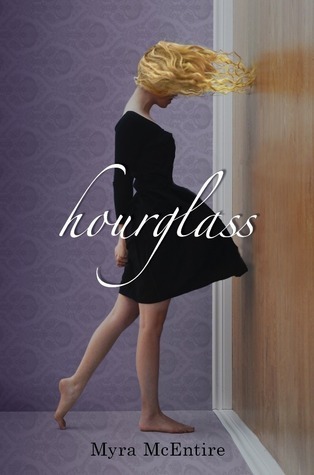 I haven't written a review for Hourglass yet so I'm just gonna copy paste this to Goodreads. LOL...I'm so lazy. I wasn't sure I was planning on reading this. I liked reading your opinion on it though! Hahaha, Minda! Yeah, I was completely sick of hearing of Michael's perfection. Or Kaleb's, for that matter. Flaws are more interesting, there's got to be SOMETHING. Ava! It was Ava, right? Yea maybe she will pull a nice 180 and be a team player in the next book. Now that I think about it she probably felt as if Emerson was the "other woman." And Michael didn't really make a huge effort to set her straight on that. (Now deciding to redirect wildebeest mayhem toward Mr. Perfection.) I'd like to see Ava end up with Kaleb. If she recovers from the black outs/manipulation/lovesick over Michael then I think he would be a great and protective companion for Ava. I like you. I approve. Overall, I definitely liked the book more than you did...but I do understand where you're coming from. I obviously hate insta-love as well, its a sad world when we basically have to learn to deal with it since it is freakin EVERY.WHERE.